Under Operation Phakisa, an initiative launched by the South African government in 2014 to accelerate the delivery of some of the development priorities highlighted in the National Development Plan, government aims to accelerate oil and gas exploration and development. However, while considerable interest has been shown in South Africa’s liquid fuels industry, particularly in offshore exploration – following large gas discoveries off the coast of neighbouring Mozambique in recent years – potential investors are hesitant because of regulatory uncertainty, with the low oil price exacerbating the situation. 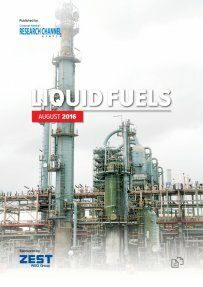 Creamer Media’s Liquid Fuels 2016 report examines these issues in the context of South Africa’s business environment; oil and gas exploration and projects currently under development; fuel pricing; the development of the country’s biofuels industry; the logistics of transporting liquid fuels; and environmental considerations, including the proposed introduction of the government-gazetted Clean Fuels 2 specifications. This report is a summary of information published in Engineering News and Mining Weekly, as well as of information available in the public domain over the past 12 months. The report does not purport to provide analysis of market trends. Published on: 17 August 2016.